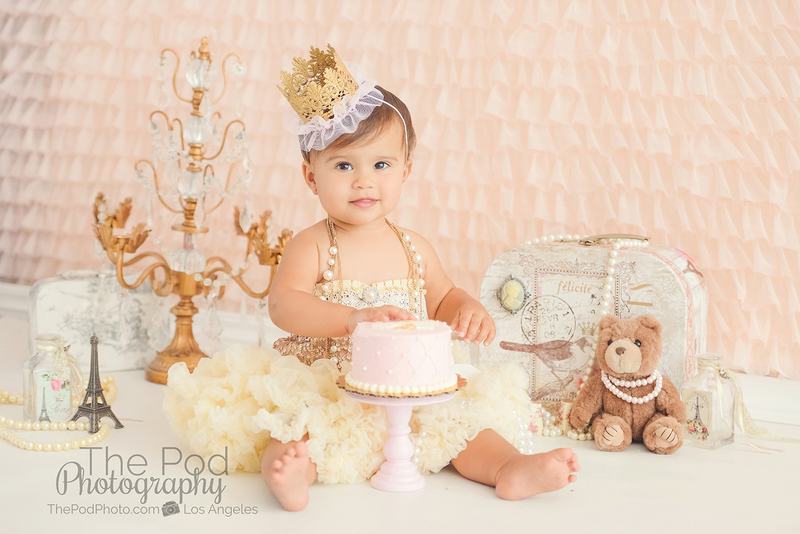 Best Cake Smash Photographer Hollywood First Birthday Photo Shoot - Los Angeles based photo studio, The Pod Photography, specializing in maternity, newborn, baby, first birthday cake smash and family pictures. 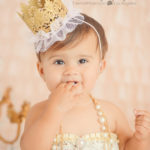 As the mom of little girl, I know how much fun it is to play dress up! 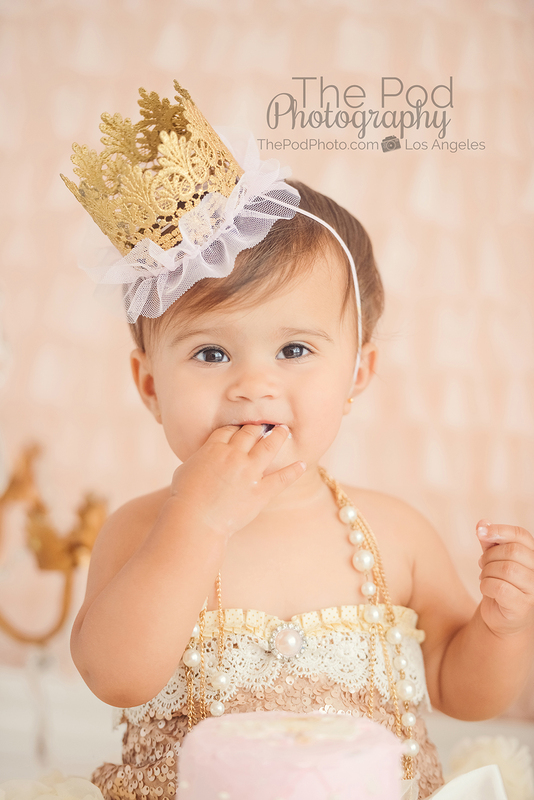 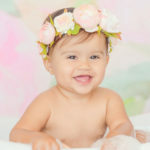 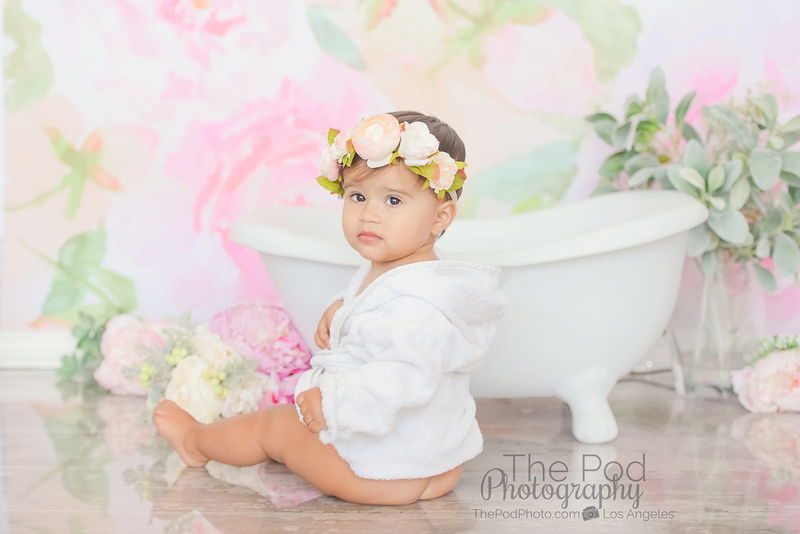 If you are looking for the best cake smash photographer Hollywood for your child’s first birthday photo shoot – check out our website and give us a call at 310-391-4500 to start planning your baby’s special pictures. 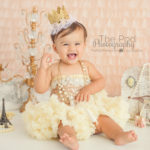 There is something so extra fun about dressing up a baby girl in a super girly outfit for a professional photo session. 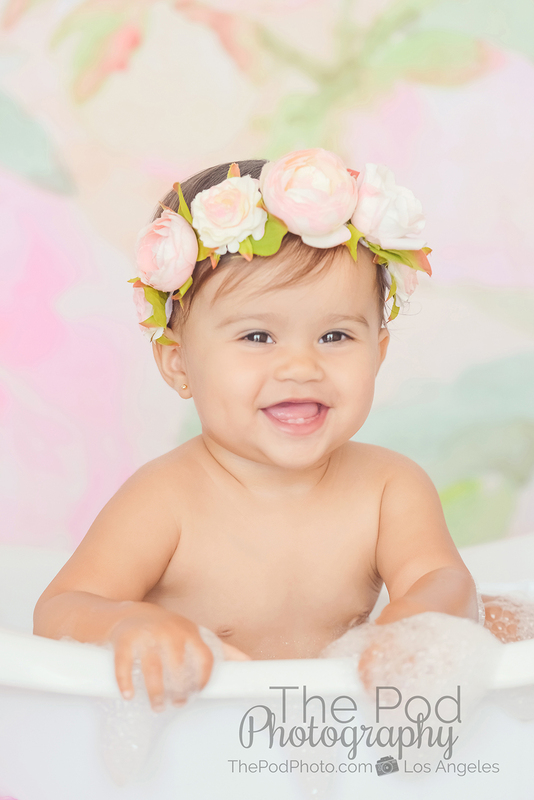 We moms take dozens of pictures of our kiddos with our cell phones every day, but those are just every-day pictures in every day outfits. 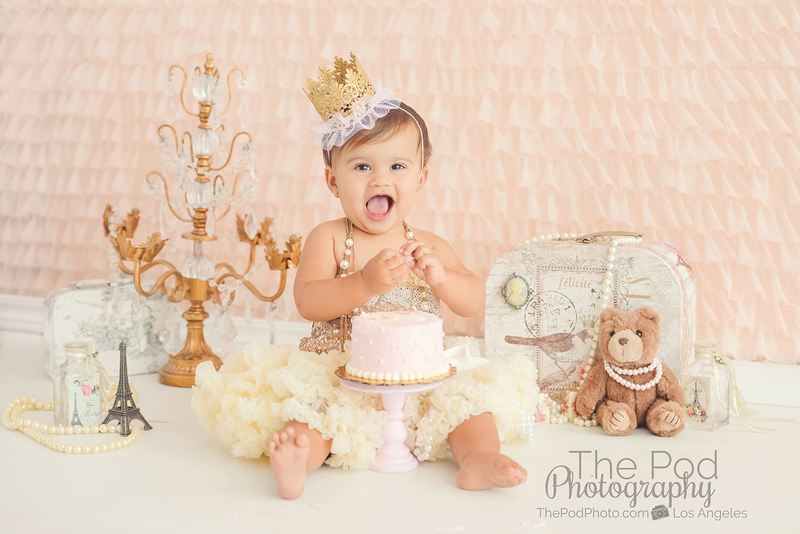 When we do a cake smash photo session at our studio – whether it is for a boy or girl – we love to go all out! 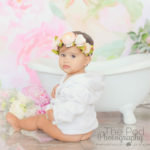 The first step in the photo session process, is to plan the set and styling. 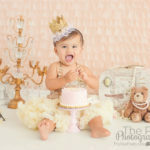 Our cake smash photographer is a professional at incorporating the colors and theme of your child’s birthday party into the photo shoot and designing a custom set. 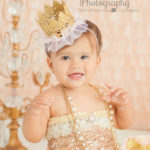 Next up is the outfit! 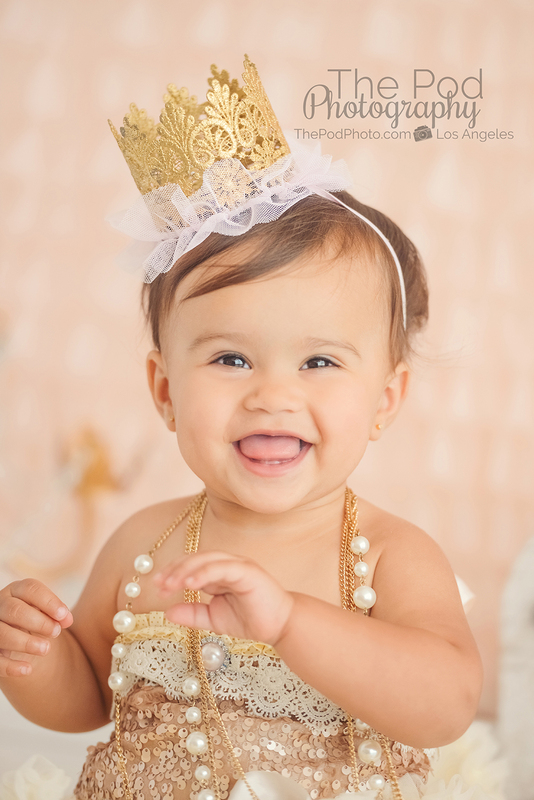 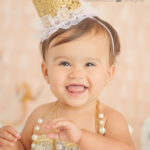 For baby girls, we are big fans of tutus and crowns for the cake smash outfit. 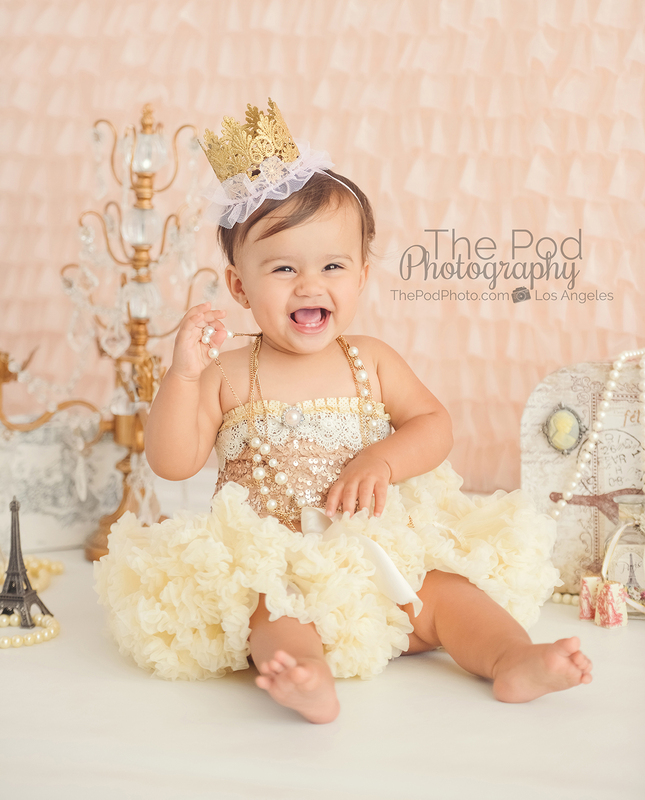 At our Hollywood studio, we have every color tutu you can imagine. 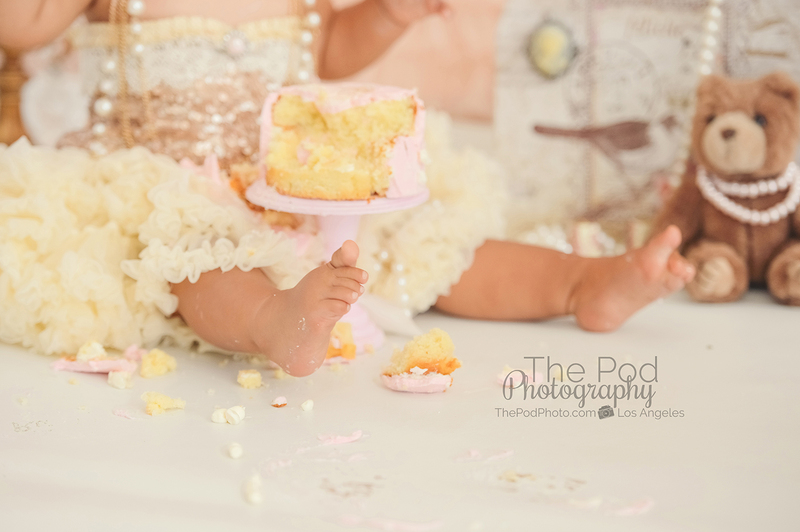 For this birthday girls’ cake smash pictures, we went girly but in a neutral color pallet. 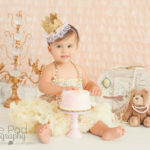 We started with a blush ruffle backdrop, paired with cute Paris inspired set props. 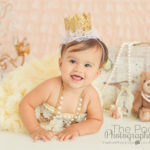 Next up we dressed her in an ivory tutu, matching birthday crown and of course finished off with the feminine touch of pearls around her neck. 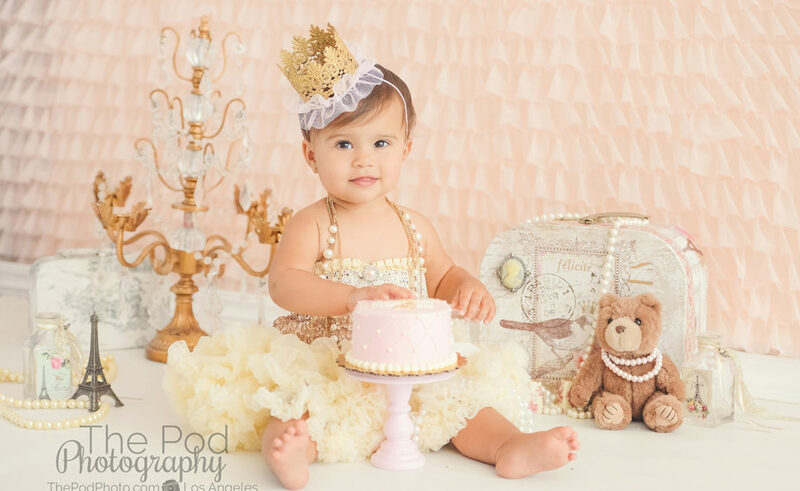 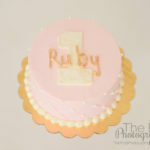 No first birthday photo shoot is complete without a cake to smash, and so we designed this custom cake in soft pink tones to match the background and stand out from her ivory outfit. 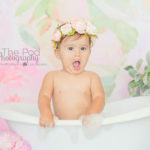 After the cake smash pictures – it was on to her bathtub splash set. 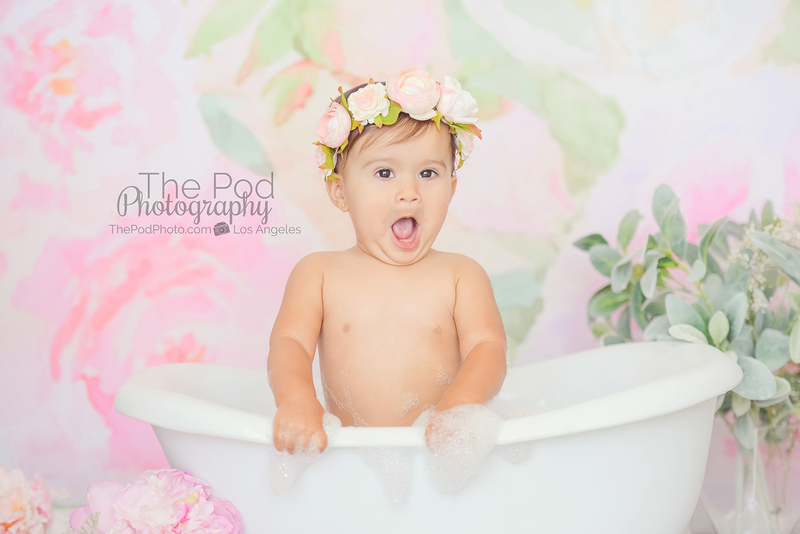 We call this our smash and splash photo session for obvious reasons. 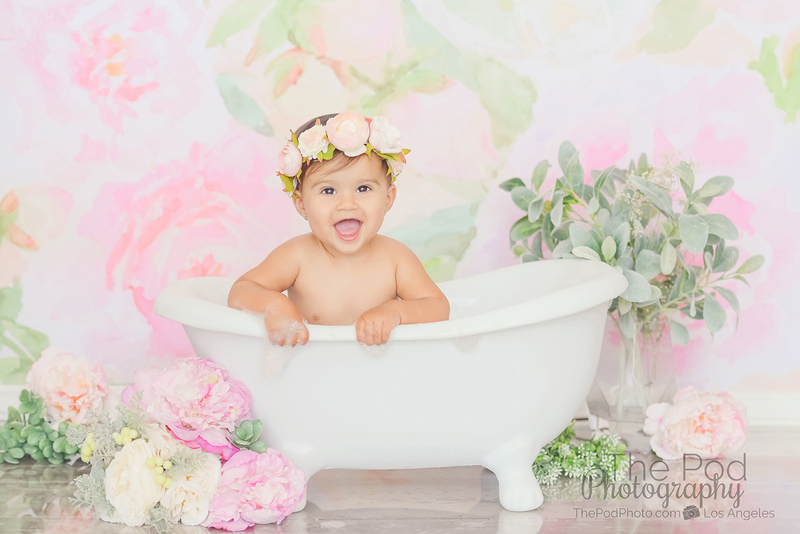 Kids always love the bathtub and have a blast making a mess! 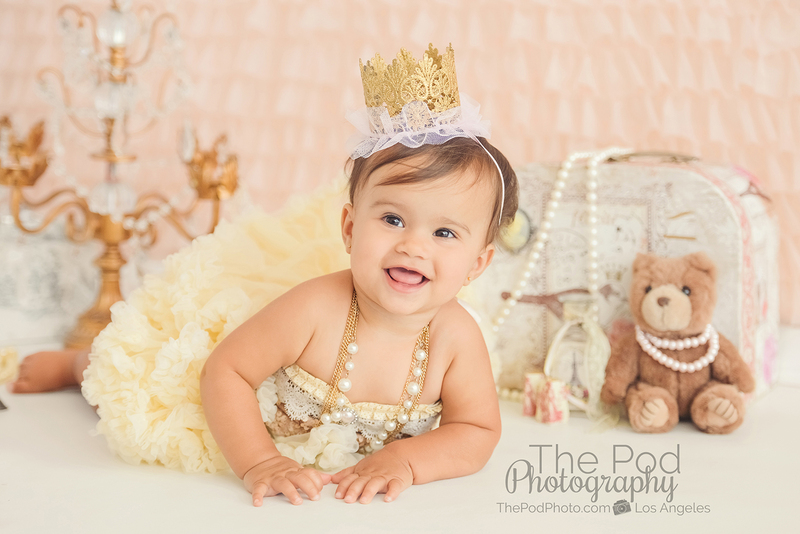 If it’s sweet and simple or over the top – we would love to custom design your child’s milestone photo session! 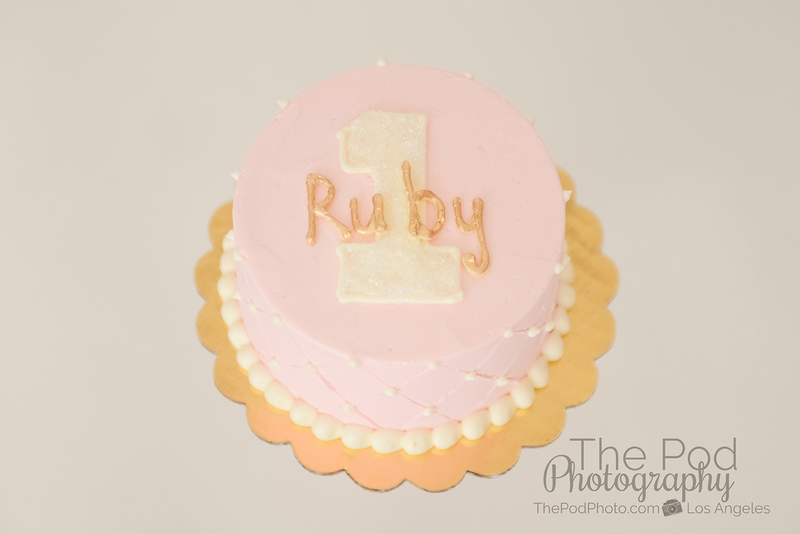 Visit our website to see lots of cute smash cake photography and for more information about our professional photography services. 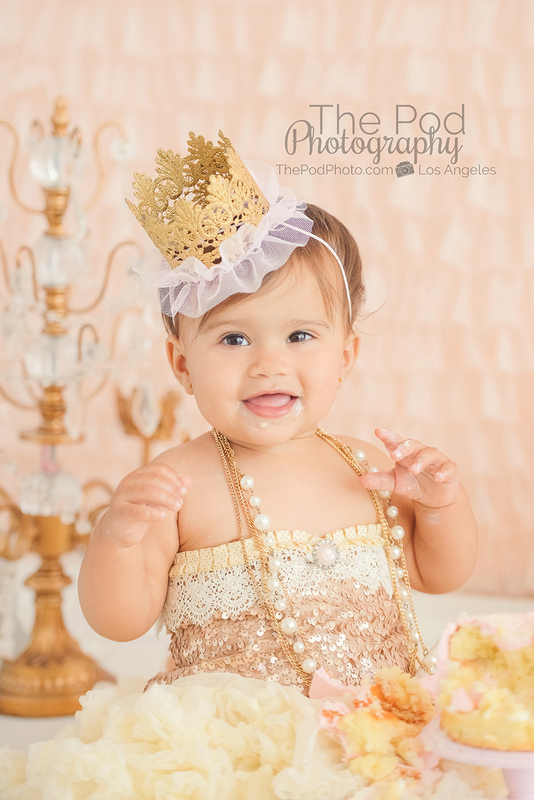 Our studio is located in Los Angeles and we see clients from the Hollywood, California area.